Zen Cart is a Free Open Source e-commerce application. Developed by a group of designers, programmers and shop owners, Zen Cart branched off osCommerce as an individual project back in 2003 and since then has introduced a lot of new features and changes. It is a user friendly shopping cart software that puts the needs of the merchant first. It comes pre-defined with payment and shipping modules, ready to be activated and used immediately. On top of that Zen Cart is licensed under GNU GPL2, so you will be able to freely modify the source code to fir your needs. 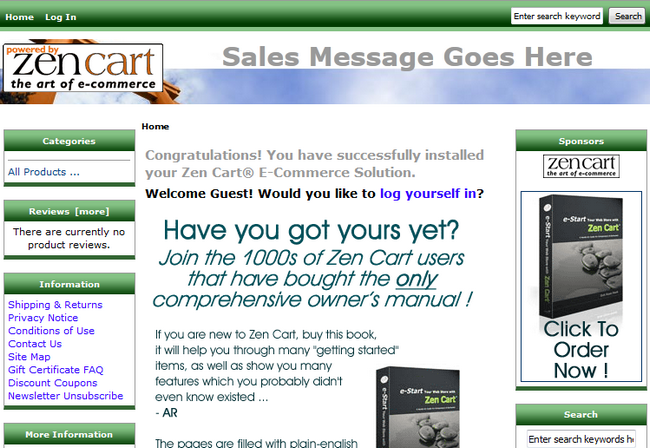 To help you get started with Zen Cart our Technical Support team provides Free Zen Cart Installation.